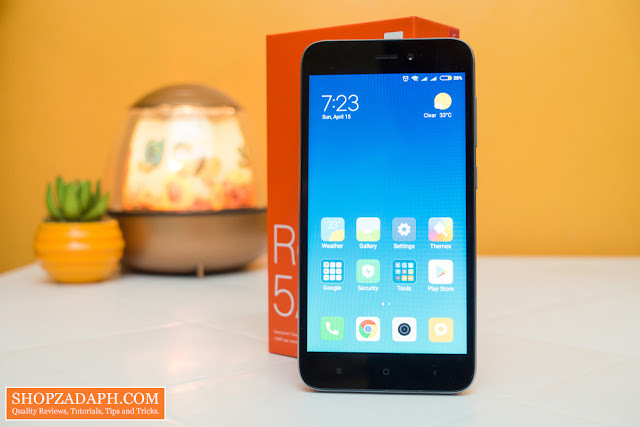 Ever since it was announced that the Xiaomi Redmi 5A will be officially launched here in the Philippines it became part of my radar. Especially that my old smartphone started acting up and becoming unreliable as days go by. It was launched on March 15, 2018, exclusively through Lazada for just 4,390 Pesos during the Flash Sale Event and was sold out in just 1 hour!. I didn't grab one immediately as I was still hoping that my old smartphone will still work as I needed it to be. But a couple of weeks later, it finally goes bonkers and won't charge anymore. 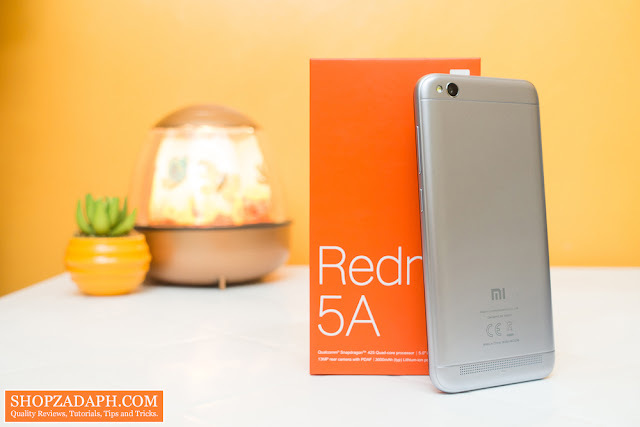 Luckily, the Xiaomi Redmi 5A is still on sale for the same price so I ordered one. Fast forward to today, we're finally going to do an unboxing and first impressions of the so-called entry-level smartphone king. Pros: Decent specs for its price, Smooth performance with useful apps out of the box. 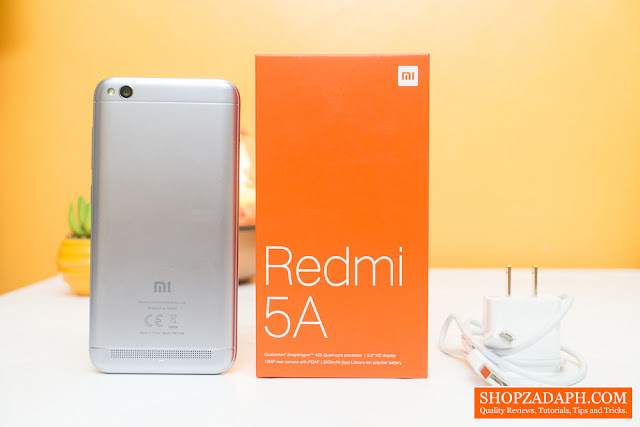 Out of the box, you're going to get the Xiaomi Redmi 5A itself, some paperwork, a standard 5V, 1A wall adaptor with a micro USB cable for charging and a SIM card ejector tool and that's about it. There's no earphone included in the package which is a little bit disappointing but understandable for its price nonetheless. It also doesn't include a screen protector and a case which some of its competitors has. The lack of those things mentioned we're compensated by the decent hardware packed inside it which we'll talk about more later. In terms of design, at first glance, it looks like any other smartphone that was released a few years ago with thick bezels and a 5.0-inch 16:9 aspect ratio display. Don't be disappointed yet though as in personal, the bezels are not that big at all. In terms of construction on the other hand, although it's made of plastic, it feels pretty robust and comfortable on the hands especially with the nice curves around the body and the edges, making it easy to use one-handed. And since the form factor is small with the 5.0 display, it also adds to the comfortability and ease of use of this device. 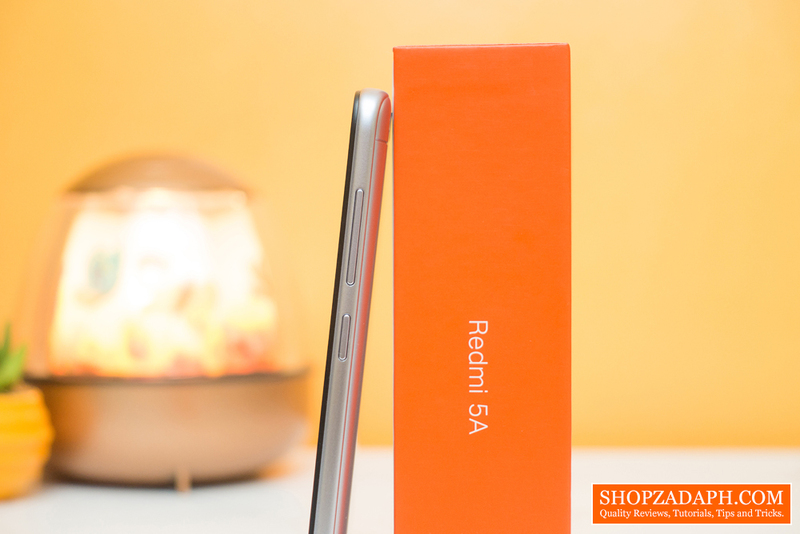 As mentioned earlier, it has a 5.0-inch display with an IPS panel that has a resolution of 1280x720p. And since the display is relatively small, it was able to produce a 294ppi pixel density. 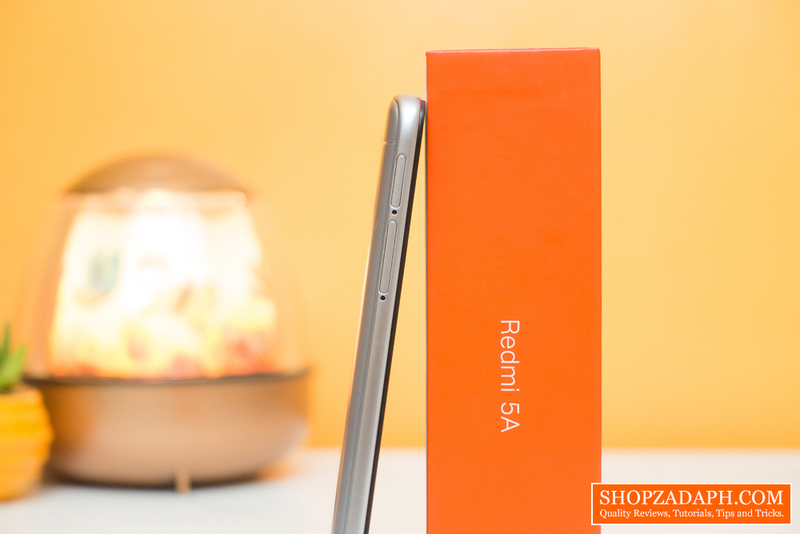 The colors are vibrant and contrasty out of the box and with the help of the IPS panel, the viewing angle is great. In the top front, we also have the sensors, the earpiece, and the camera. In the bottom front, we have the three capacitive navigation buttons for recent apps, home, and back which, unfortunately, isn't backlit. We can also, surprisingly, find the notification LED light on the center of these navigation buttons. With regards to the front-facing 5MP camera, it has the potential to perform pretty well with decent lighting but I will test it extensively using different camera apps, settings, etc. and will let you know how it performs on the full review. At the back, we have the loudspeaker which is surprisingly good enough for its price. For my first impression, the sound is clear and can get pretty loud without being distorted. The only downside for me is the lack of bass but that's of course understandable. 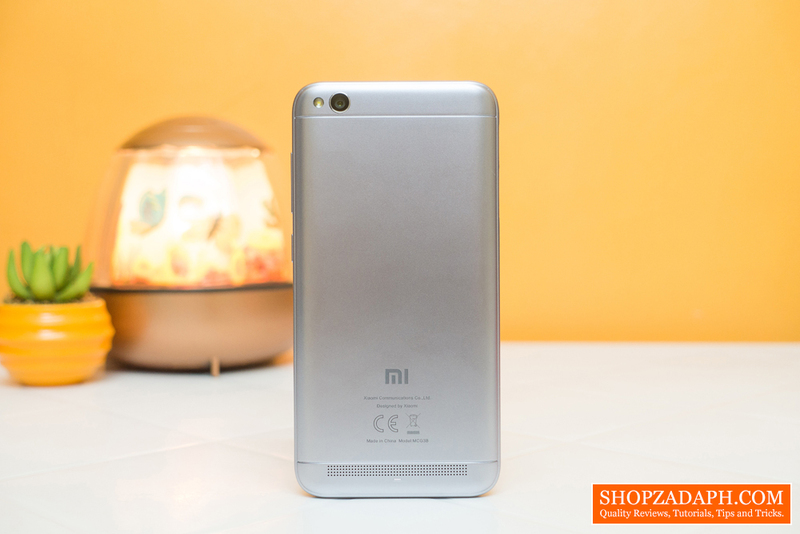 At the top, we have the 13MP Camera with flash. For my first few shots, I immediately feel and notice the difference between this and my old smartphone which is the Alcatel Flash 2 that produces a much more decent image quality output. The Redmi 5A's camera can produce decent images in a pretty well-lit condition but suffers from low-light environments. I will test the camera even further and will give you my full verdict when the full review comes out so watch out for that if you're interested. At the top, we have the IR Blaster, a microphone, and a 3.5mm headphone jack. At the bottom, we have the micro USB port and the primary microphone. 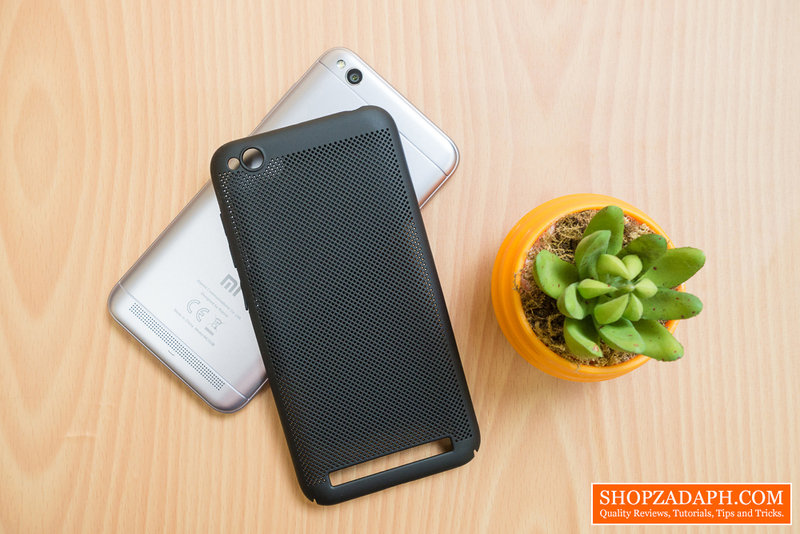 On the left side, we have the two Nano SIM card slots and a dedicated microSD card slot that supports up to 128GB of storage. On the right side, we have the volume rocker and the power button. 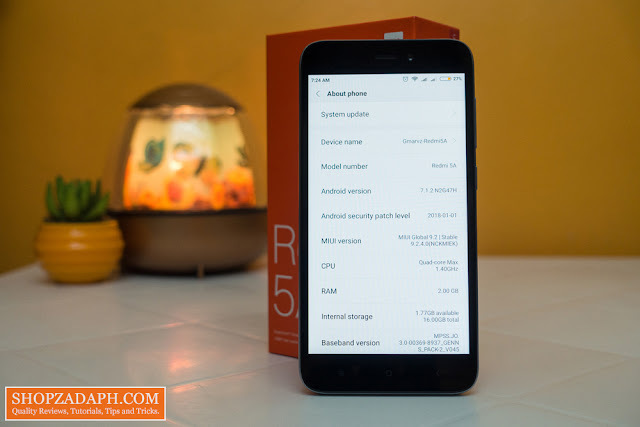 I mentioned earlier that the Xiaomi Redmi 5A packs decent hardware inside, and indeed it does with a 1.4 GHz quad-core Cortex-A53 processor, alongside the Qualcomm Snapdragon 425 chipset paired with an Adreno 308 GPU and with a 2 GB of RAM. In theory, this is more than enough for web browsing, productivity, multimedia consumption, light multitasking and even casual gaming. And for a couple of days of my actual usage, I'm really satisfied with its performance, its smooth and I haven't experienced any hiccups yet. In terms of juice, it packs a standard 3000mAh battery that will last you a whole day which in my experience did even more than that with casual usage. Charging time as per my testing is around 2.5 Hours from 20% to 100% which is expected for a 5V, 1A wall adaptor. The only downside which is probably a deal breaker for some is its very limiting 16GB of internal storage. Out of the box, you'll only get approximately 8GB of available storage and that's very disappointing. Yes, you can add a microSD card up to 128GB but you really can't move your apps to the microSD card without even rooting it which will void your warranty. Other than that, the hardware inside this is phenomenal for its price. I have mixed feelings with regards to the software, the Xiaomi Redmi 5A runs on MIUI 9 on top of Android Nougat 7.1. 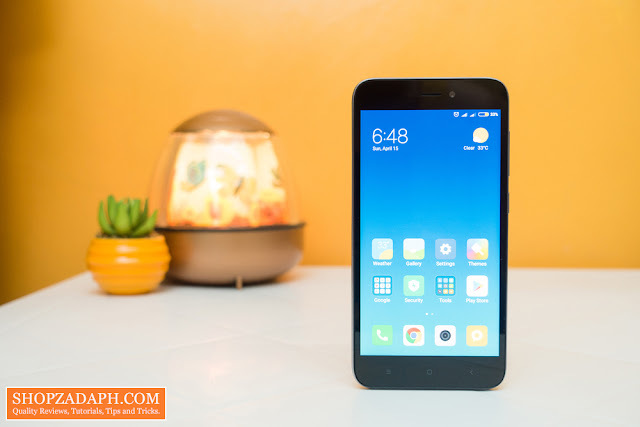 The MIUI 9 packs a lot of features and apps that I feel like I'm going to use out of the box like the MI remote, Barcode Scanner, Screen Recorder, etc. And to be honest, I think I'm going to stick with the stock interface instead of installing a 3rd party launcher like the Nova Launcher which I used for almost all my previous smartphones. But, it also comes with bloatware apps. Some of it can be removed and some can not, and I feel like I could've saved some space from my lowly 16 GB of internal storage if this came in stock android. My initial experience with the Xiaomi Redmi 5A is nothing short of amazing. 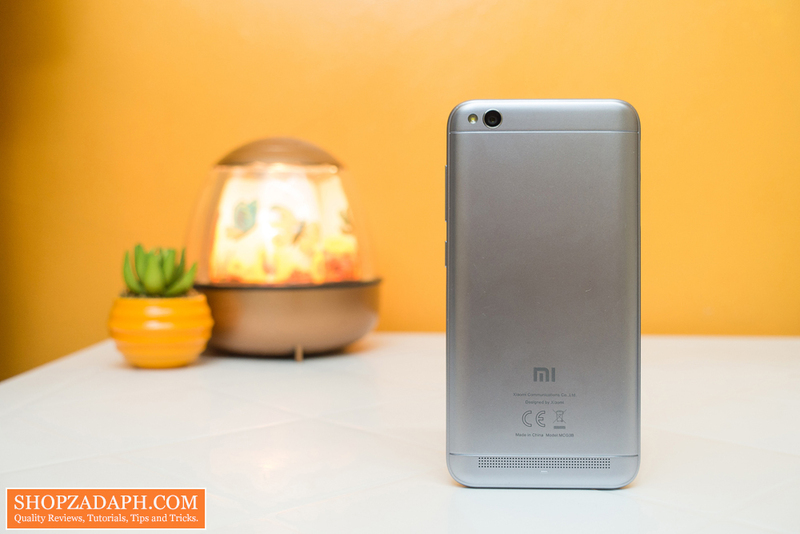 It really does look and feel like its moniker "Entry-Level Smartphone King". Aside from my gripe with regards to the very limiting internal storage space, everything is flawless for me thus far and I am looking forward to testing this even further for my full review that would come out sometime soon. Expect on the full review that I will focus on performance, battery life, tweaks, and tricks and of course, the camera. Please subscribe to this blog and to my YouTube Channel for more unboxing and first impressions like this. 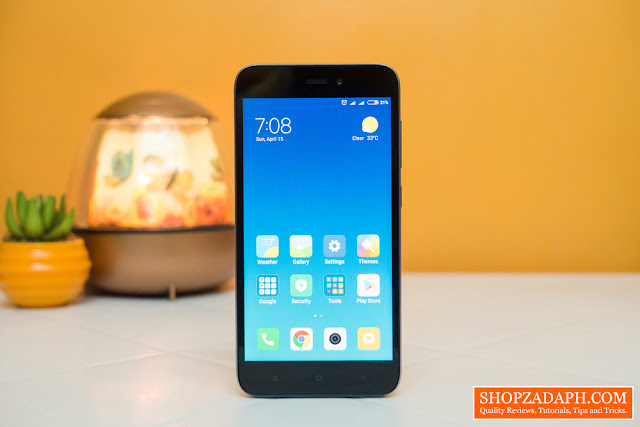 The Xiaomi Redmi 5A is still currently on sale on LAZADA for just only 4390 Pesos. I highly suggest you grab one now while it's on the stock. 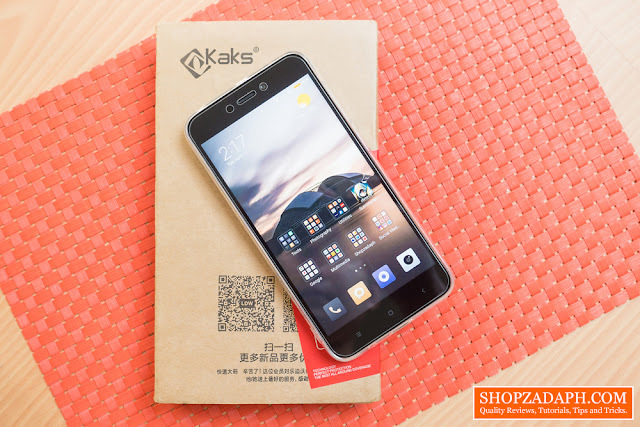 UPDATE #1(April 17, 2018): The clear case + tempered glass that I ordered from Lazada just got here and both fit perfectly on my Xiaomi Redmi 5A! Very good review! I am waiting for your review on the camera. God bless you! Hello Sir Marvin! 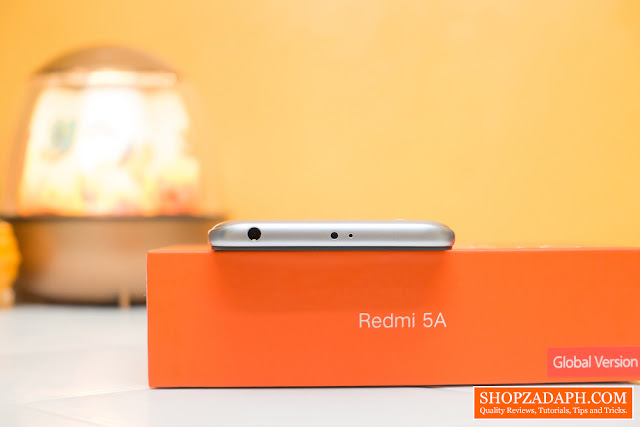 If I am not mistaken, the only two units that really battle for the budget phone supremacy are Cherry Mobile Flare S6 and Redmi 5A. 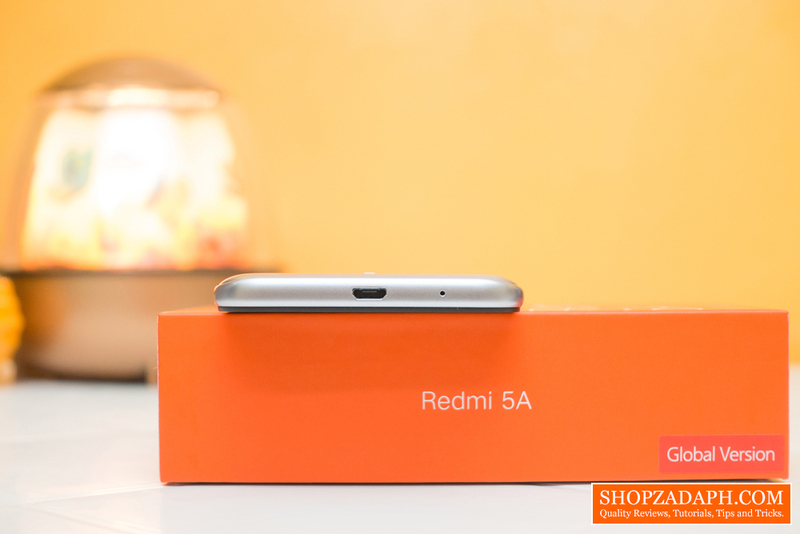 Why not do a full review comparison between the two, for their performance, battery, and camera aspects? That will be great. S6 was among the top 5 most purchased unit in the last months, and 5A closes in fast. 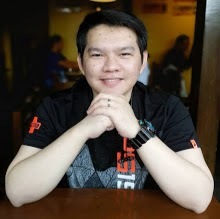 Hi Francis, I would love to if ever I get a hands on the Cherry Mobile Flare S6.